This applet can be used to demonstrate some of the properties of the quadrilaterals. Drag each of the yellow points toward the other three vertices and see whether the shape has a line symmetry. Click on the yellow polygon when you find a symmetry. How many line symmetries are possible? Try this for the following shapes by first dragging the blue points to create the shape. 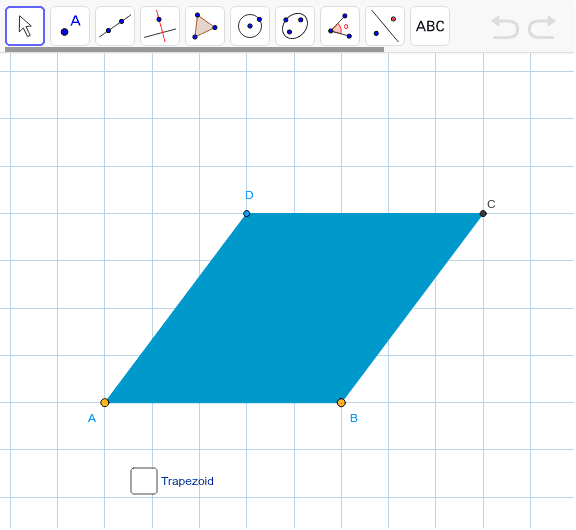 Click the trapezoid checkbox and adjust the blue points to form different trapezoids. Drag point C to overlap D. The quadrilateral becomes a triangle. Check for line symmetries.